An outdoor game that is unlike any other. Most games involve one player at any one time — RampShot incorporates three players in a single turn. Amazing catches and beautiful tosses is what you can expect in this highly interactive experience. 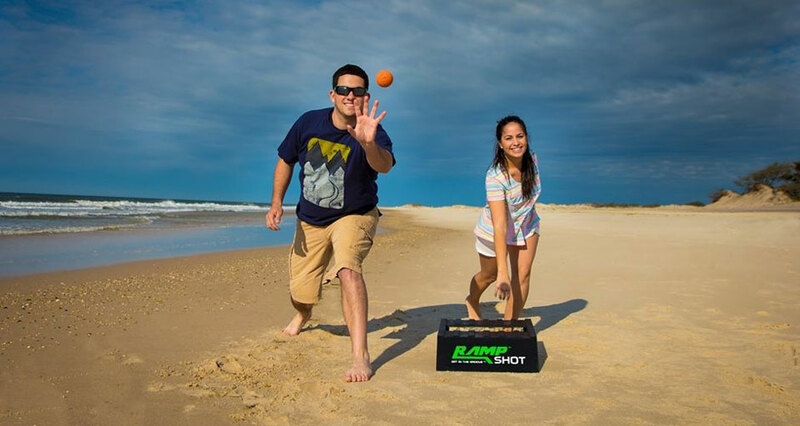 RampShot keeps all players engaged in a fun competitive spirit. Josh Bonventre is, first and foremost, happily married and a proud father of three of the greatest kids in the world. When he is not playing hide and seek or helping with homework, he is the Co-Founder and Chief Play Maker at Shore Creation LLC. His idea of a perfect day is getting together with friends and family, burgers on the grill, and of course, playing some outdoor games. As an avid sports fan and former NCAA baseball player, he loves being active and always enjoys a little friendly competition. Being a physical education teacher for nearly twelve years, he has had the fortunate opportunity to work in the field he loves. Co-creating his company’s first game, RampShot, is an absolute thrill for him and a great next step in life’s journey. He is incredibly passionate about what he does, and is excited to think about his game being a part of “good times” everywhere. Kevin Texeira is the Co-Founder and Team Captain at Shore Creation, LLC. He and his wife have three children: four-year-old twin boys and a one-year-old girl. Their energy and joyous personalities keeps him laughing throughout the day. Time spent with his friends and family is so important to him and brings so much joy to his life. Growing up in a family oriented household has established deep roots for enjoying companionship with his loved ones, and has him seeking deeper relationships with all who he is in contact with. Creating a game that brings friends and family together is a dream come true. Pairing that with his love and passion for sports and outdoor activities has melded these two aspects of his life. 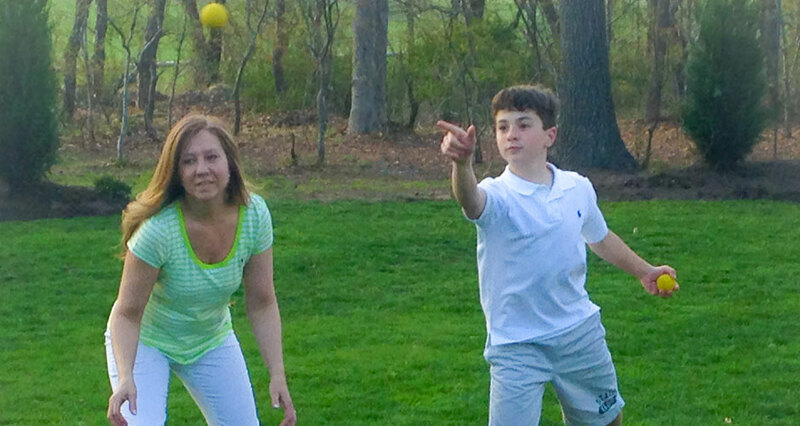 As a result, RampShot was created for friends and families to enjoy and inspire fun competitive spirit.